It’s been a long time since my last post, mostly because life happens and I have been trying to find the motivation to get back to cooking and writing about it. 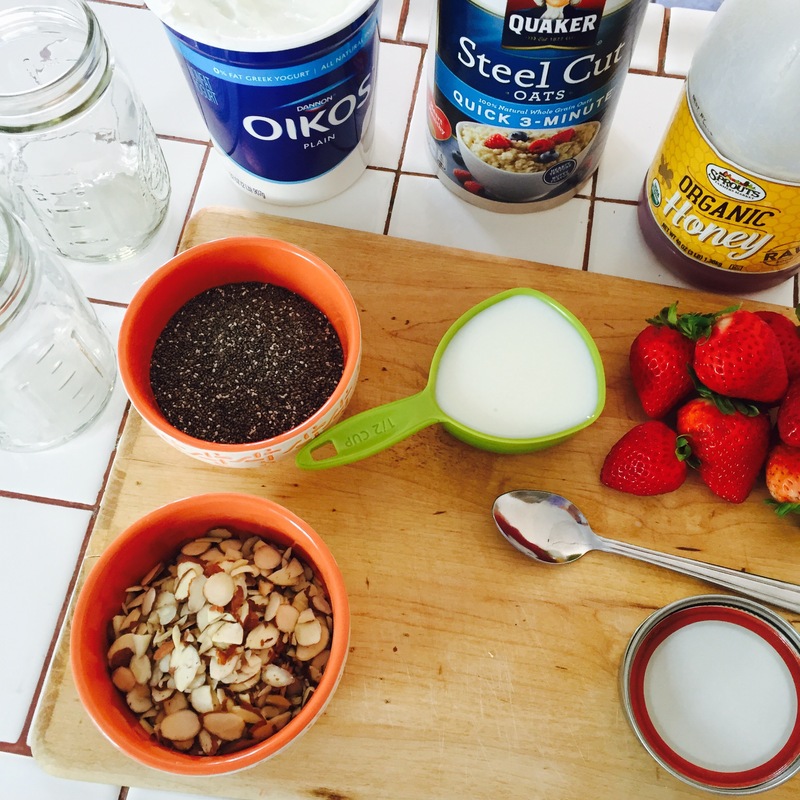 One thing I have needed is a quick, healthy breakfast that both my husband and I like. This is where overnight oats step in. I know many have been making and sharing this recipe but I decided to share the recipe I made and love the most. One of the questions I get most is what type of oats to use, I recommend any quick oats that you prefer. I find that quick oats tend to get good flavor and also texture when they sit over night. I like to layer my ingredients and then in the morning shake it all together. I prepare these a night before or over the weekend. I also include a bit of milk and drizzle it on top to help soak the oats. 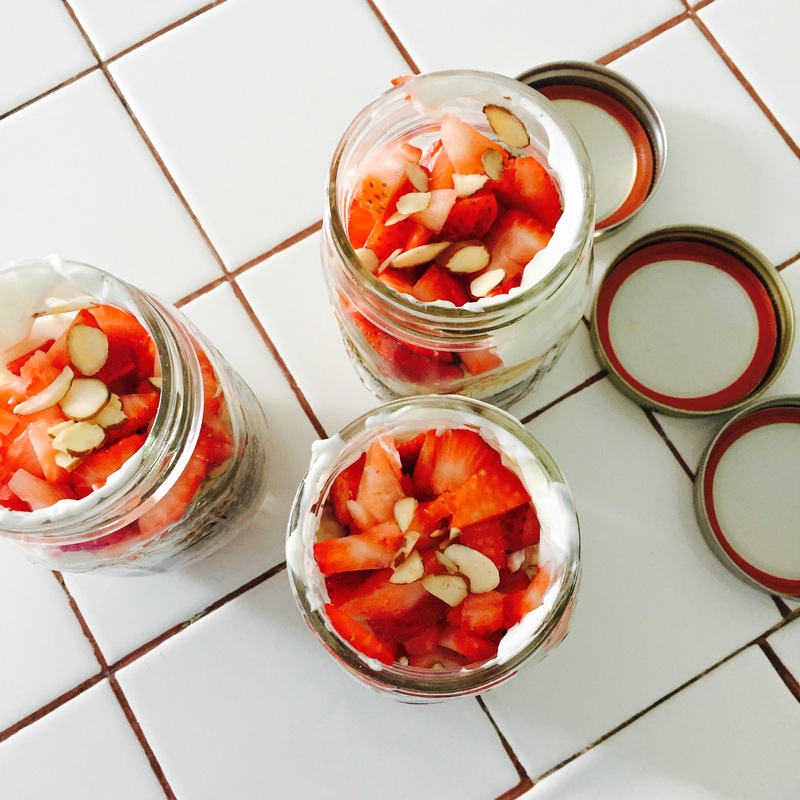 The recipe is for one jar which I end up eating half in the morning and the other as an afternoon snack if needed. Jake can eat the whole thing for breakfast but also mentioned that it keeps him full right up to lunch! 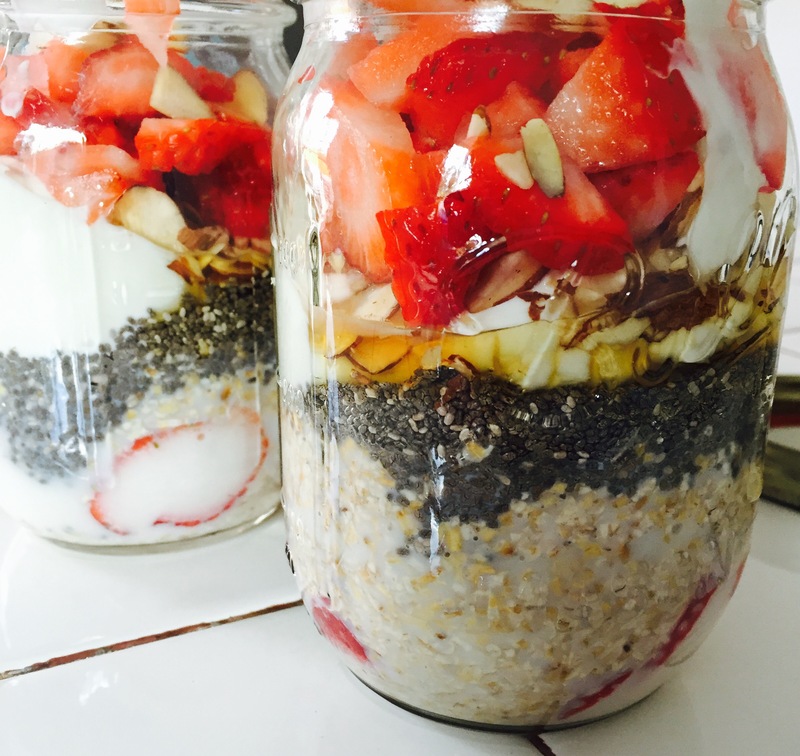 Make sure to seal up your jars and pop them in the refrigerator overnight, wake up give them a shake and enjoy! This truly is an extremely easy on-the-go recipe and good for you!